The Kalamazoo Wings were back for their 11th season of IHL hockey in 1985-86. They were still part of the Red Wings farm system, but were also affiliated with Vancouver and Philadelphia. Ted Parfet was still owner of the franchise. Bill Inglis returned as coach/GM for a second season after three years in Toledo. The IHL emerged from the recession of the early 1980s to begin expanding across the continent to much larger towns. The demise of the Central Hockey League brought teams from Salt Lake City, Utah, and Indianapolis, Indiana, into the IHL for the 1984-85 season. Peoria became the Rivermen and Muskegon became the Lumberjacks. After the 1984-85 season, the Flint Generals would move to Saginaw and would be replaced by the expansion Flint Spirits. 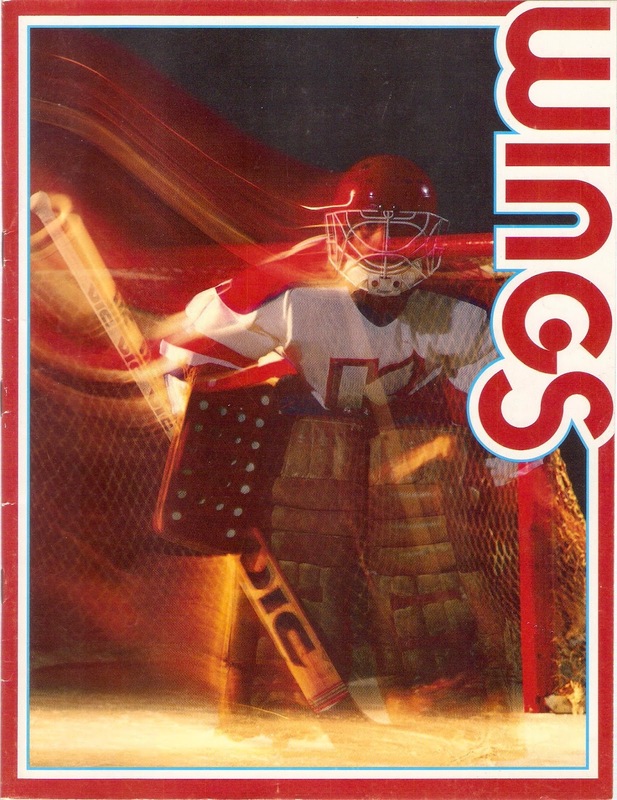 Bill Inglis' 1985-86 K-Wings finished in second place in the Eastern Division. Their 47-29-6 record gave them an even 100 points just five behind first place Muskegon and 12 behind league-best Fort Wayne. The K-Wings were the fourth best team on offense that season, scoring 341 goals. They were led by center Bill Terry, who had 43 goals to go along with 109 points. Wayne Crawford led the team in goals with 51. Three more players had over 20 goals, and three others had at least 15. Defense was a weak spot for Kalamazoo that year. The K-Wings surrendered 310 goals, fourth-worst in the IHL. The team used four different netminders that season. Veteran Georges Gagnon played the bulk of the games, sporting a 3.40 GAA in 63 appearances, then started in all the playoff games. Corrado Micalef, Shawn MacKenzie and Dave Ross made it into several games apiece. Kalamazoo faced the Saginaw Generals in Round One of the Turner Cup Playoffs. The Generals, despite finishing 10 points back in third place, upset the K-Wings in six games. Saginaw would then fall to eventual champion Muskegon in five games in the semi-finals. This is probably the nicest K-Wings program that I own. It's much larger than the previous ones I have posted, at 53 pages. It's almost all black-and-white, and features lots of local ads, from D&G Vac Distributors to Asphalt Protection Service. There's even an ad for the Mc D.L.T. (remember those?)! That night's opponent was the Salt Lake Golden Eagles, in their sophomore season in the IHL. The game was played on October 25, 1982, 3 games into the season. Kalamazoo was in third place at that point, a point behind Toledo. Salt Lake was in fourth place at the time.